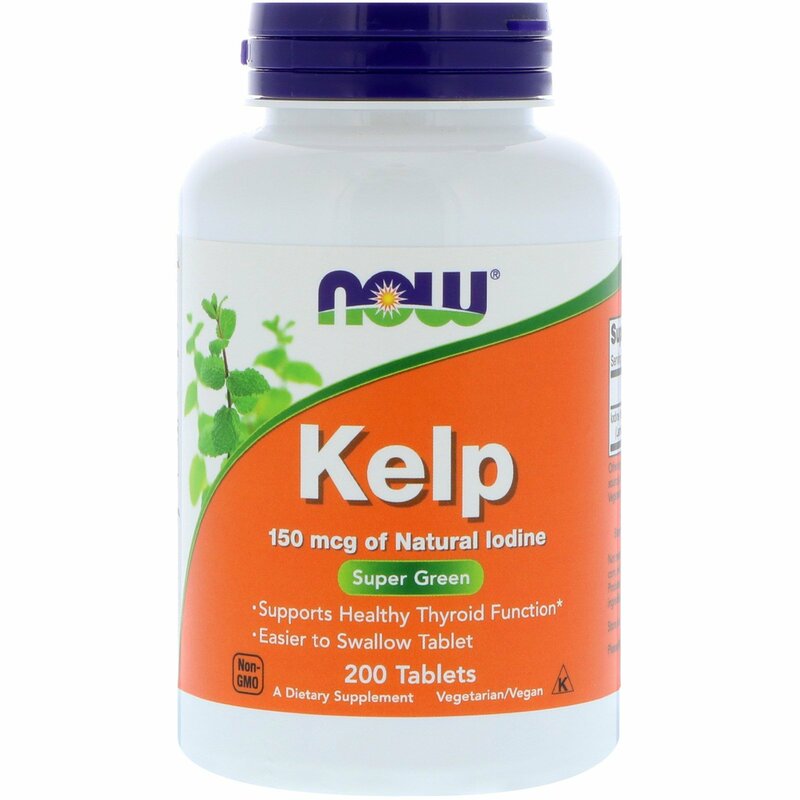 NOW Kelp delivers the natural nutrient profile found in Genuine Whole Foods. Kelp is a large, leafy seaweed belonging to the brown algae family that grows in "forests" in the colder waters of the world's oceans. Kelp has been used for centuries as an important nutritious staple ingredient in Chinese, Japanese, and Korean cuisines. 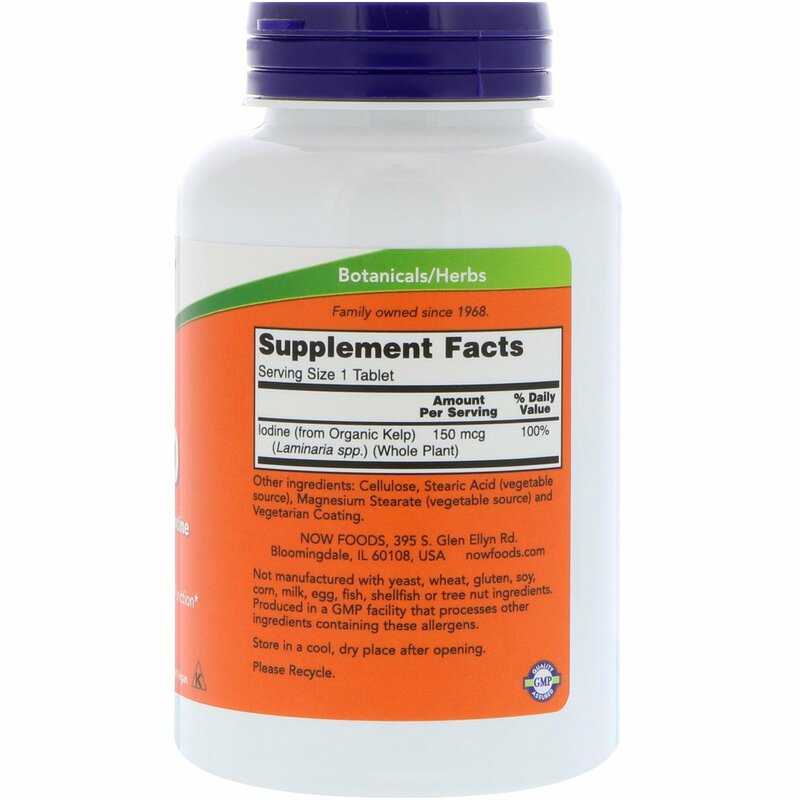 It is also an excellent source of iodine, which has been shown to be essential for healthy thyroid function. Cellulose, stearic acid (vegetable source), magnesium stearate (vegetable source) and vegetarian coating. Caution: For adults only. 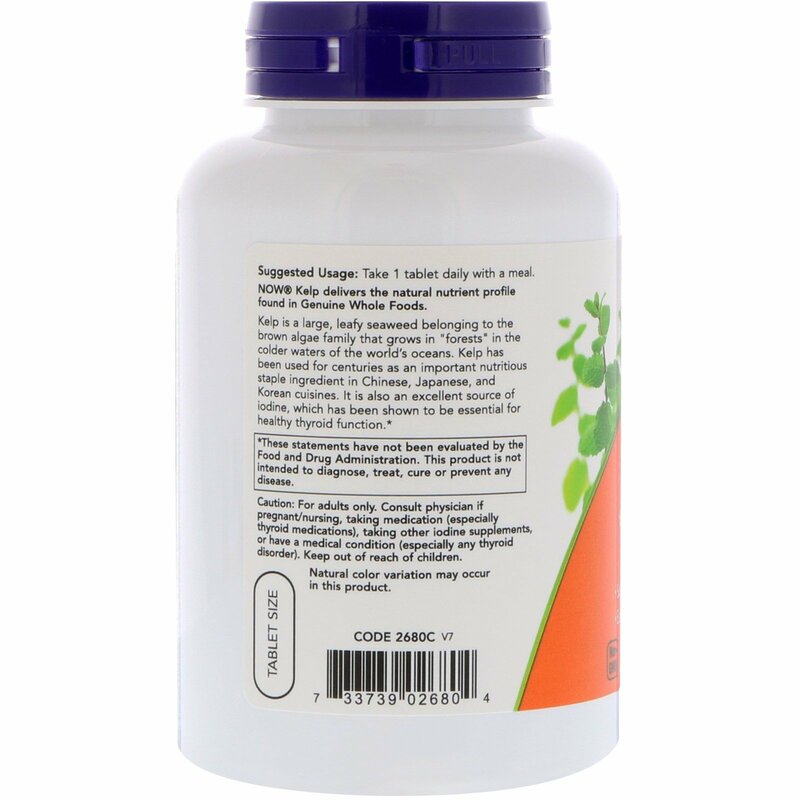 Consult physician if pregnant/nursing, taking medication (especially thyroid medications), taking other iodine supplements, or have a medical condition (especially any thyroid disorder). Keep out of reach of children.